All the details you need to know about the opening day including the president's speech and impressions of participants. 500 local and international companies gathered in Cairo for the biggest information technology and telecommunications event in the region, Cairo ICT. The fair launched on Sunday 13 December in Cairo International Conference Center under the slogan "Go Smart". The opening ceremony was headed by President AbdelFattah El-Sisi who announced two initiatives for design and manufacture of electronics and technological learning. Executive President of Trade Fairs International, the organizer of the fair stated that this year's version of the fair is the biggest ever. Prime Minister Sherif Ismail and Minister of communications and information technology Yasser Al-Qady attended the opening ceremony. Vice President of EMC international Mohamed Amin stated that the fair is considered the most important event of the information technology industry in Egypt. He added that the focus now is not on WiFi networks but on the Li Fi that relies on light to transmit data, it is 20 times faster than WiFi. 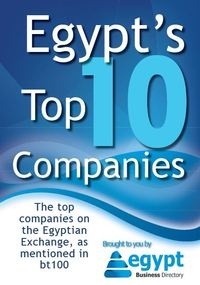 "Egypt has to catch up with the latest developments and have a specialized information technology center" Amin said. He added that information technology allowed institutions and companies to manage their business and reduce costs. It is the most important investment in the world and everyone has to interact with it. Stephen Kehoe, head of financial inclusion at VISA international stated that studies showed that 85% of Egyptians don't depend on banking transactions; this represents a good opportunity for the company to enhance its presence in Egypt. He added that the company is now focused on e-payments and mobile payments. "The number of mobile users in Egypt represents the main intensive to take this challenge" Kehoe said. 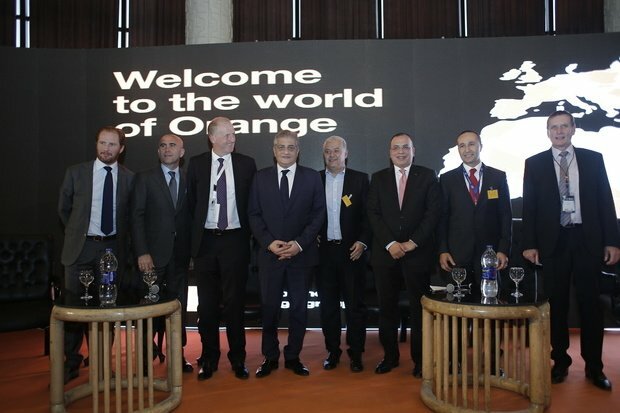 Marc Rennard, executive vice-president of Orange, the official sponsor of this Cairo ICT stressed that the Egyptian market is the most important internationally based on the number of customers and the revenues. Rennard said that he change of the trademark of Mobinil and Link to that of Orange will bring more investments to Egypt. It will also lead to offering many services for reasonable prices in all governorates. He added that Egyptians rely on technology as a main element in their daily lives as they download 200 thousand apps per year. Ali Faramawy, Microsoft corporate vice-president pointed to the great development in information technology and telecommunications especially due to cloud computing that will lead to a revolution in all fields. "there are some problems in Arab countries, mainly support and social awareness and the tools related to it". Chief Technology Officer at Vodafone Tony Dolton stated that the merge between communication service providers and information technology tools is essential for the future of communication services worldwide. He added that his company is trying to offer simple solutions that customers can deal with easily. Vice President of Cisco Andy Macdonald stated that major and fast changes are coming in all fields due to the technological development we are witnessing today. By 2020 there will be 50 billion device connected to the internet and the investments in the internet of things will reach 19 trillion dollars. Regional Director of Intel Middle East Taha Khalifa talked about the job opportunities that information technology creates. "The society can benefit from the technology of data analysis for instance it can be used to find solutions to cure cancer" Khalifa stressed the importance of security in programming and solutions offered by technology providers. He added that companies are investing in security to increase productivity and by the year 2020 more data will be produced with the enhanced security systems. President AbdelFattah El-Sisi stated that the state plans to double investments in this sector. 1500 youth will be trained to get promising opportunities inside or outside Egypt. El-Sisi also announced two initiatives, the first one is designing and manufacturing electronics which focuses on encouraging this industry in Egypt. This will happen through two main sectors, first the electronic systems companies that are built on innovation and technology and second the electronic manufacture services. This initiative aims to increase the revenue of this industry to reach 3 billion dollars within 3 years, creating job opportunities and attracting manufacturers to establish industrial areas and companies to attract Egyptian innovators. The second initiative focuses on "technological learning" which aims to train 5000 youth per year directly and 11,000 indirectly using the latest technology. This initiative will be implemented in cooperation with the biggest companies and universities. The President also talked about establishing technological zones in 10th of Ramadan, Bourg Al-Arab, Sadat city, Beni Suef, Assiut, Aswan as well as reviving the technology valley in the economic area of Suez Canal.